Pololei style of Lomi Lomi massage for the last 15 years. Paula is currently studying Mana Lomi techniques as well as other Lomi traditions and Hawaiian traditions. She is a certified LaStone Hot Stone Therapist and received a Medical Massage Practitioner certification in 2006. Paula has been Nationally Certified through NCBTMB since 1996 and was Board Certified in 2015. She has been an AMTA member since 1995 and holds a BS Degree in Holistic Nutrition. She currently has her own practice within a massage therapy Co-op in York, PA and still maintains a client base in Debary, FL at her former office The Body Mechanics. Paula is also an instructor at the York Campus of the Baltimore School of Massage, a Steiner Education Group school. 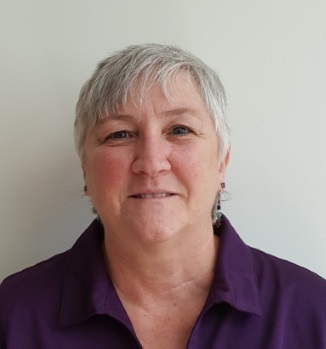 Paula attended Central PA Business School prior to becoming a massage therapist and has an Associate’s in Specialized Business degree in Computer Information Systems with a background in accounting. She is a Certified Infinite Possibilities Instructor as well as a Certified Life Coach. Paula is a lifelong learner and has been teaching others for over 30 years beginning right after college in the computer field and then moving into the field of massage as a program director for massage at a small private school in Florida before relocating back to Pennsylvania. Her passion is teaching others about their bodies and how things work to cause their aches and pains.